Cal Poly’s Water Quality Management Program, created and overseen by the Environmental Health and Safety Department, is a collaborative approach to water quality and regulatory compliance. The program seeks to improve the quality of water passing through the campus by monitoring pollution in surface waters, groundwater, and wastewater leaving through the sanitary sewer for treatment by the City of San Luis Obispo’s Water Resource Recovery Facility. Water in Stenner Creek is tested semi-annually for E. coli, an indicator of bacterial contamination primarily from livestock and wildlife activity near riparian areas. Results continue to be consistent with historic trends and within water quality standards. Monitoring wells are used to test groundwater quality, measuring nitrate levels above and below campus. Results continue to exceed water quality standards and for the last two years; nitrate levels entering and leaving campus were virtually identical. Pursuant to new standards adopted in 2012, Cal Poly tests for a number of pollutants in sanitary wastewater. Some contaminants that the campus had previously been monitoring are no longer considered significant enough to warrant testing, while others were added to the program. Increases in Ammonia and biochemical oxygen demand (BOD) are attributed to the ongoing transition to low flow plumbing fixtures for water conservation. While ammonia exceedances have remained steady, the campus has experienced decreases in BOD and copper. Zinc continues to be reduced largely due to Custodial Services’ Green Cleaning program. Underground utility systems continue to undergo major changes to enhance safety, efficiency, and reliability. Over nine miles of aging Utilidor hot water piping was replaced and new isolation valves installed to reduce the risk and frequency of leaks. The year-long Utility Master Plan will carefully inspect the condition of Cal Poly’s sewer system to ensure adequate capacity for future flows while minimizing risk to health, safety, and the environment. As part of the university's effort to keep waterways clean, Cal Poly promotes and participates in annual county-wide Creek Day cleanup events. These events are held across San Luis Obispo County and include cleanup locations on campus. 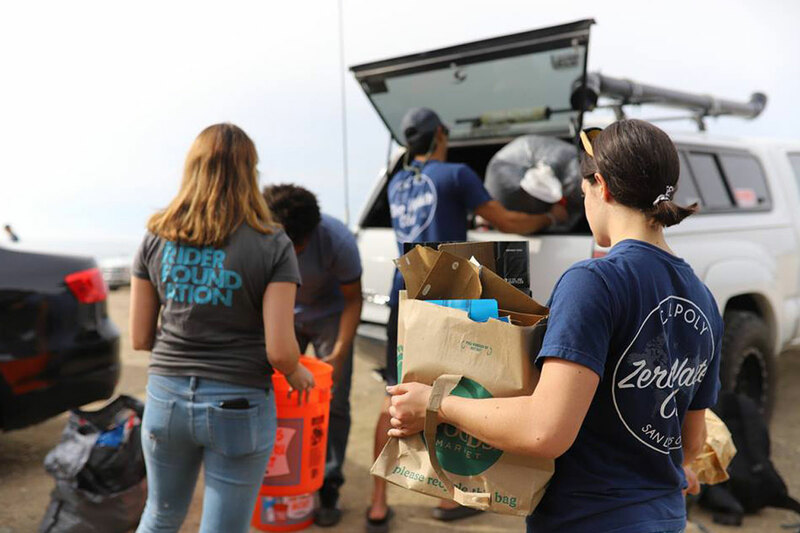 Throughout the year and each September, prior to the rainy season, volunteers scour Cal Poly waterways to pick up litter—reducing the amount of plastic making its way into the Pacific Ocean. Debris collected is comprised largely of food wrappers, beverage containers, plastic bags, cigarette butts, and other smoking-related materials. 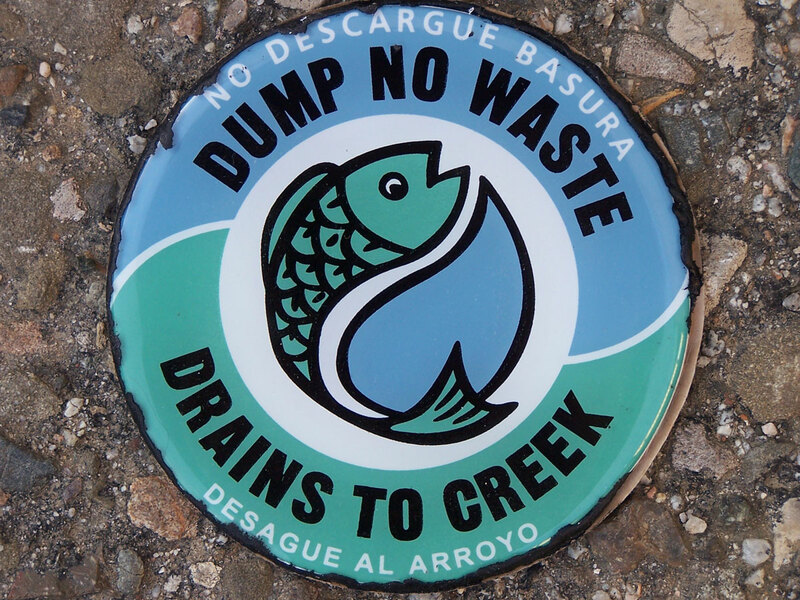 To get involved in the creek cleanup's be sure to sign up for the monthly sustainability newsletter.